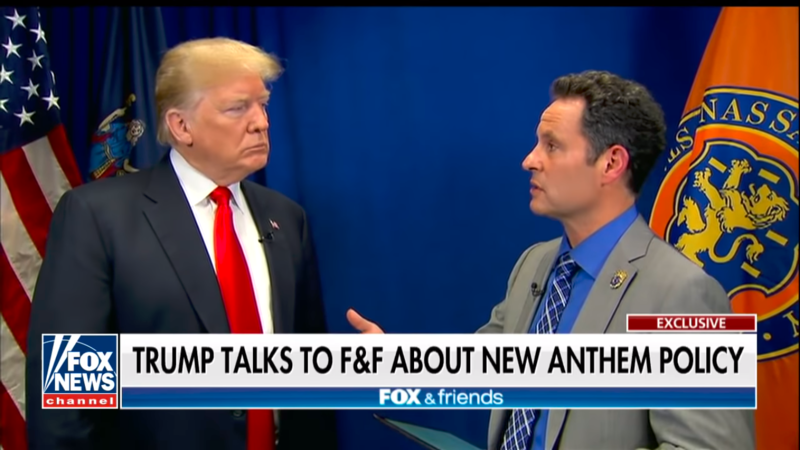 “Fox & Friends” host Brian Kilmeade said his online donation of around $600 to President Donald Trump was an accident and claimed he never meant to give money directly to his campaign. Kilmeade spoke to The Hill on Tuesday and said he was buying “Make America Great Again” themed Christmas gifts for family members a few weeks after Trump’s 2016 victory and never thought it would be tagged as a donation. Kilmeade bought the gifts through Trump’s campaign website, which gives buyers the option to make a campaign donation once they checkout. Federal Election Commission filings show Kilmeade gave just over $600 and the payment was processed on the day of Trump’s inauguration. Kilmeade’s money went to the primary election cycle as it came in well after November’s 2016 presidential election, according to The Hill. Fox News provided a statement to The Hill and said it has no rules restricting on-air talent from buying holiday gifts.